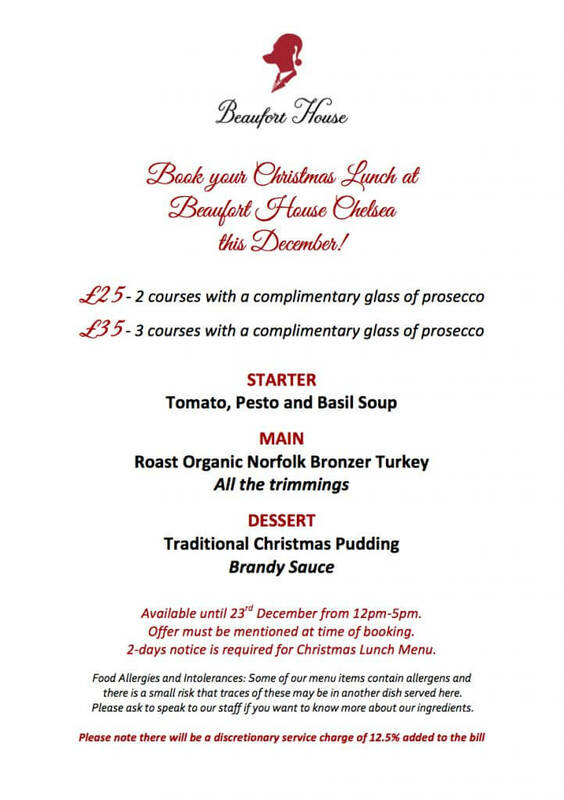 Christmas Lunch from only £25 person! Join us in our ground floor brasserie on the Kings Road, Chelsea this December for a delicious 2-course Christmas Lunch for only £25 or 3-courses for £35. This amazing offer also includes a complimentary glass of prosecco. Booking is essential so call us today on 020 7352 2828 to book your table (min. 2 people – max. 20 people) or email us at info@beauforthousechelsea.com.